The Equitable Development Series explores how Detroit can grow in a way that allows people of all races, classes, and abilities to participate and benefit. The series includes stories published here in Model D as well as public events starting in August. D4’s Equitable Development Series in partnership with Model D is made possible thanks to generous support from the W.K. Kellogg Foundation and the Knight Foundation Fund of the Community Foundation. 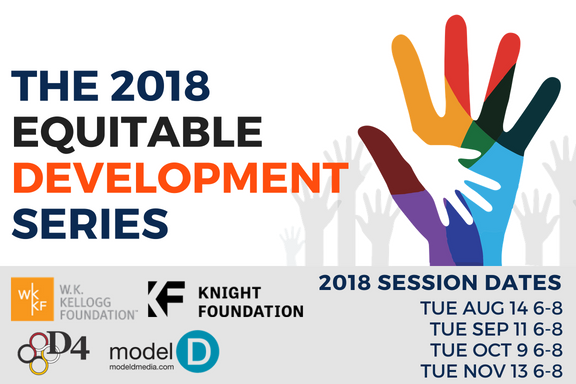 Interested in the Equitable Development panel series?